With the marking of the digital age, all forms of digital technologies become a part of the existence of human life, thereby, an extension of self. 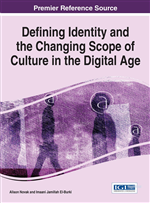 The ever-increasing influence of the virtual world or Internet cultures demands to read its complex relationship with human existence in a digital world. Theory of psychoanalysis, specifically object-relation theory can be called forth to analyze this multifaceted relationship. Within the light of this theory, Internet cultures are acting as “objects” like games, memes, chat rooms, social net etc. and the virtual world can be interpreted as the “object world”. The chapter is interested in reading the deep psychoanalytic experience of people (with a special focus on the youth) in reference to their relationship with the virtual arena. The experience can be associated with religion, spirituality, perception of beauty, sexuality, Identity formation and so on. Their behavior and responses to the virtual world will be framed within the psychoanalytic paradigm in the light of “object relation theory” in a digital age. According to Marvin Minsky, one of the founders of the MIT Artificial Intelligent Laboratory, human mind is “a meat machine” the assumption with which the Lab started working. With the increasingly developing digital technologies and their relationships with this “meat machine”, the human psyche has come to be an ever vibrant landscape. This landscape can be best analogized with relevance to the discourse of psychoanalysis in a digital space. With the marking of the digital age, all forms of digital technologies become a part of the existence of human life. The innumerable blessings in human life by the enormous technological advancement can never be denied. Ultimately, they become an extension of self. This field of extension can be best understood by the extent to which the cyberspace has come to affect human life. The ever-increasing influence of the virtual world or Internet cultures demands to read its multifarious relationship with human existence in a digital world. So, in this particular context, a better comprehension of this emerging culture is important which includes how the cyberspace, reality, identity (formation and evolution), relationships and the self are experienced. These diverse internet cultures insist on an in depth analysis of human relationships with them. Theory of psychoanalysis, specifically object-relation theory can be called forth in this regard to analyze this multifaceted relationship. Within the light of this theory, different forms of Internet cultures are acting as “objects” like games, memes, chat rooms, social net etc. and the virtual world can be interpreted as the “object world”. These “objects” have both positive and negative facades depending on the way how they are dealt with by the subject. The “object world” works in the same way children idealizes their relationship with the parents or the primary care-giver and then internalizes certain ideals as a part of their own psychological building-up. This is very crucial in the learning process of the child to distinguish between the self and the other (object). Then, being specific in case of reading Internet cultures/virtual spaces psychoanalytically, people are using the void (virtual space) to fill up some void from the real life. At one point people start to project meaning to this empty space. In both the cases, setting boundaries and the process of separation (when and where to draw the separation or boundary lines) in their dealings with the virtual space is crucial in building up of the personality of people concerned. The influence is much greater in case of the youngsters. The paper is interested in reading the deep psychoanalytic experience of people (with a special focus on the youth) in reference to their relationship with the virtual arena. The experience can be associated with religion, spirituality, perception of beauty, sexuality, identity formation and so on. Their behavior and responses to the virtual world will be framed within the psychoanalytic paradigm in the light of “object relation theory” in a digital age. The turn of the millennium marks the end of the Freudian century and we have turned to the digital age. Many people may have many different and contradictory ideas that psychoanalysis no longer needs to be talked about at such a time. In reality, the opposite is the demand of the age. The different objects in the new world of objects, i.e. Internet cultures need a psychoanalytic understanding to effectively meet our growing relationships head-on with them. The potentials of getting involved emotionally with the artifacts arises some dramatic questions which the object-relation theory needs to address. One of the imposing questions is, “What is the appropriate relationship to have with cyberspace?” There are a wide range of positive activities involved in the cyberspace like, fund raising, blood donating, protesting against social and political causes. Yet the decisively sensitive and negative outcomes can never be ignored in any way. In the end, the question is not just what kind of relationship it should be but whether cyberspace is challenging and imposing new meanings to the relationship itself, and ultimately putting new identities on the self. This paper considers the possibilities and questions regarding this by evaluating the extent of the relationship between human psyche and cyberspace.